Our daily routines are rarely perfect. We wake up, go for a walk or jog, have breakfast, go to work, come home and go to sleep. It may not be dull, but at times it becomes tedious. 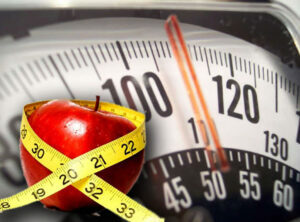 Here are plenty of suggestions to revamp your daily routine keeping you in shape and beautiful. Detoxing is naturally cleansing your body from toxins. 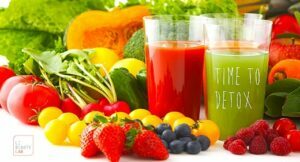 Detoxing gives your body a new healing and health. You can use a smoothie diet full of fruits to follow for a few days. Cut back sugar added to what you eat. For example, sugar added on cereals, tea, biscuits, chocolates, and sweets. Instead replace it with natural sugars like bananas, watermelon, cherries or apricots. When baking, reduce the amount of sugar added. 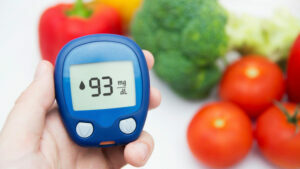 Too much sugar can lead, high blood pressure, diabetes, obesity, high uric acid levels and weight gain. 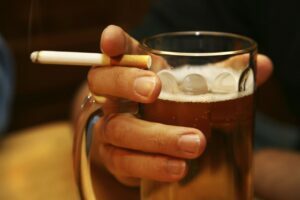 Alcohol and smoking destroy vitamins in your body. Alcohol destroys Vitamin B, C and K. Smoking destroys vitamin c which is necessary for collagen, causes wrinkles and sallow skin. Try walking or jogging early morning. If do not like outdoors you can have an indoor exercise like sit-ups, weight lifting, press ups or invest in a trend mill machine. 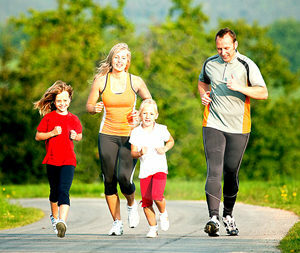 Early morning exercise stimulates your body metabolism. You can burn your daily calories well by exercising early morning. Your mind and body will be active all day. Research shows 70% of our body is water. Our cells, organs, and tissue need water for proper functioning. We lose water when we breathe, sweat and digest food. It is crucial to rehydrate yourself by drinking at least eight glasses of water. It may not be practical to take the eight glasses at one sitting; you can spread the eight glasses throughout the day. You can take two glasses after every four hours. Water gives a radiant and beautiful skin. Getting adequate sleep is important. Sleep helps boost your memory, relaxes your body and gives you a more quality and productive lifestyle. Work on a daily sleep routine. Have a particular time that you go to bed. Lack of adequate sleep can lead to high blood levels, inflammation leading to heart diseases, arthritis and premature aging. Each day is an opportunity to be better. Write down your plans and how to achieve them. If you want to lose some weight, have a plan and stick to it. Have discipline as you start your journey. It may not be easy bit it is a step to success. Try these tips and see if it works for you. Cheers!